To celebrate 50yrs of production Greenfield has released 30 limited edition deluxe Greenfield mowers with a GOLD automotive 2 pack paint job. 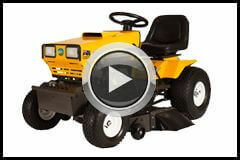 These machines look that good you've just got to have one, even if you have no grass to cut! We only have three so get in fast now! The Greenfield products are Australian made for our conditions. Cutting our grass like no other ride-on mower can. 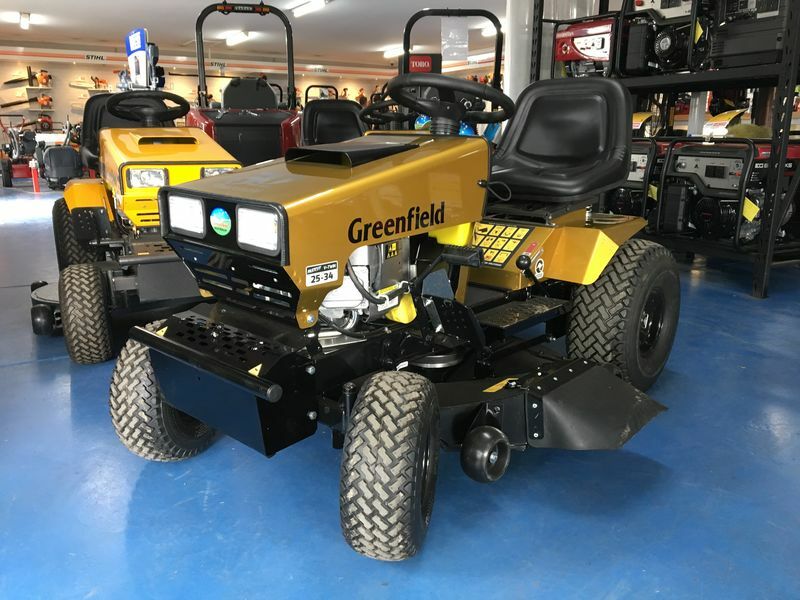 This model is one of Greenfields deluxe products meaning it has a larger deck at 34", bigger wheels, a differential lock and mammoth V-Twin 25hp Briggs & Stratton engine. The differential lock makes the Greenfield ideal for tight areas and uneven surfaces too meaning you would have a product suitable for all conditions. The Greenfield design is tough and simple which is why they last for so many years. If you want a ride on mower that will last for years buy a Greenfield.